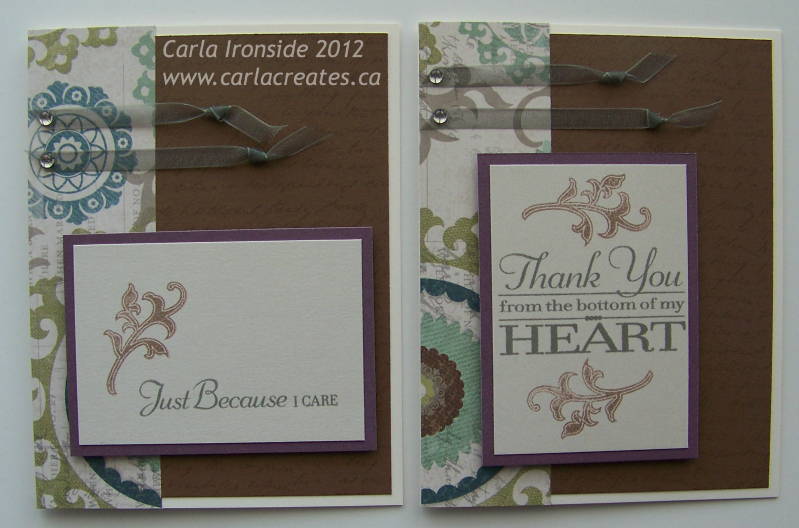 CTMH introduced some new cardmaking kits in the current Fall/Winter Idea Book and I recently had a chance to play with the Avonlea kit. The kit provides enough paper & embellies for 15 cards. You can follow the instructions and guide to come up with 5 cards each of 3 different designs . . . or get a little creative as I did and change up your designs for a little more variety. I didn't use anything on my cards other than what was provided in the kit, but I did do a few Cricut cuts, as you'll see. 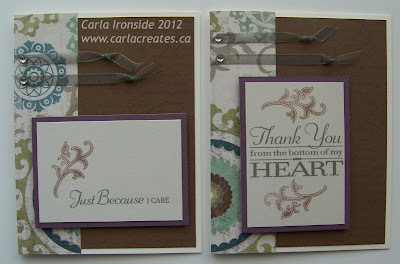 Design #3, with different sentiments using my Cricut Artiste cartridge, and some variation in stamping & embellishing. 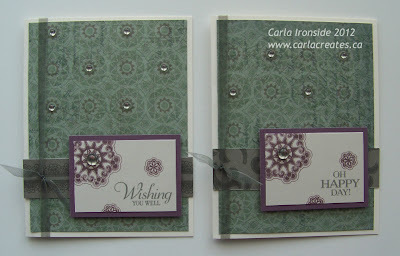 What a gorgeous group of cards Carla. Very pretty.